Welcome to "Captain's Corner" which is a periodic production created by Captain Charlie Breen. 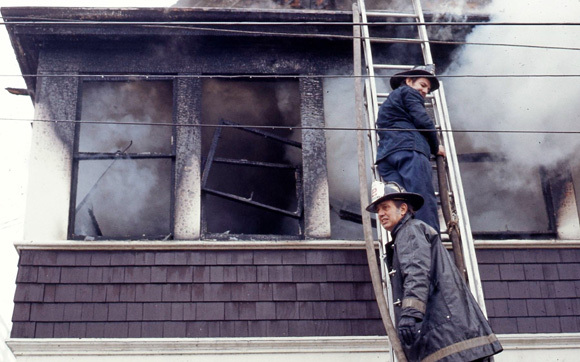 "Captain's Corner" will take a look back into the history of the Somerville Fire Department and spotlight the fires and the firefighters who fought them. 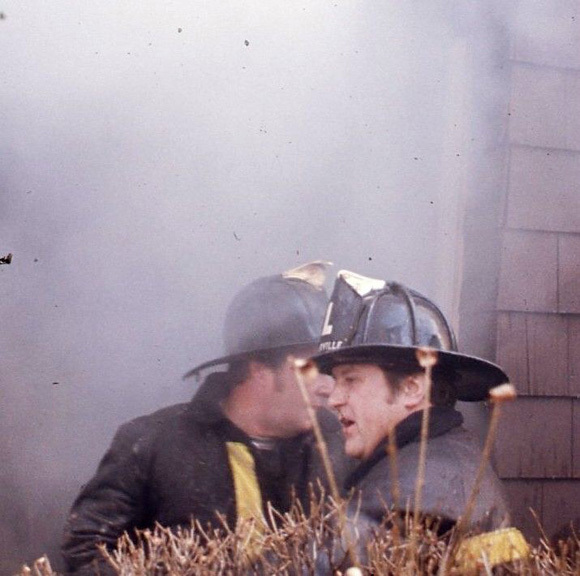 Ff George Janus and Lt. Paul Keane grab a breath of fresh air while working the Boston Street fire. 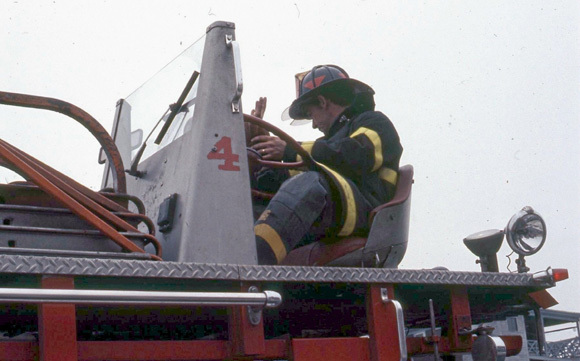 George did his entire career on Engine One. George was appointed in 1969 and retired in 2001 and only then because he had reached the mandatory age of 65! 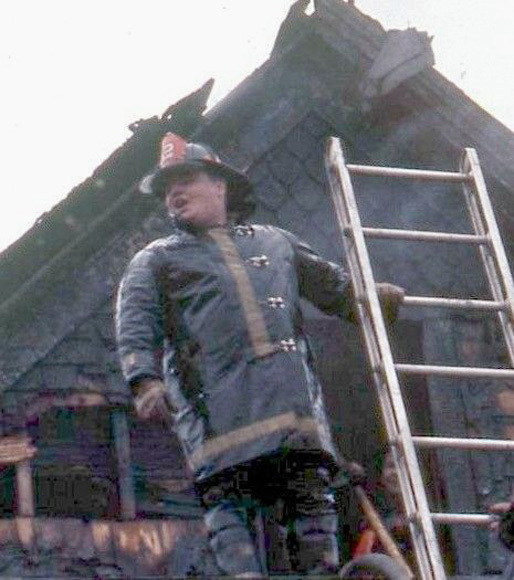 He could have easily retired on disability after suffering severe burns in the Arrow Paper fire but battled back to full duty. 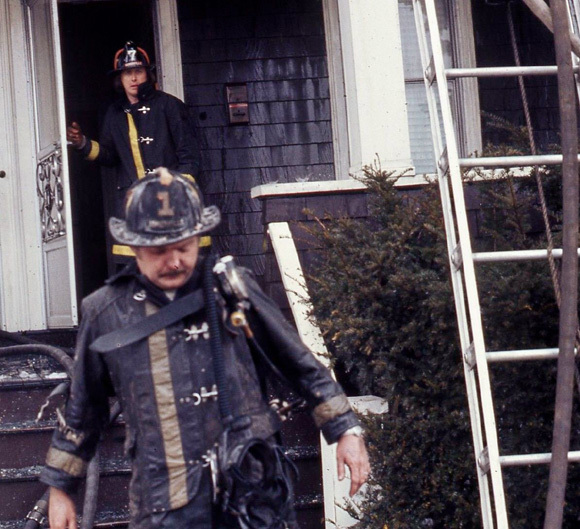 George, sadly, was not able to enjoy much of his retirement and passed away on March 6, 2003. Paul Keane was appointed in 1965 and reached the rank of Captain. 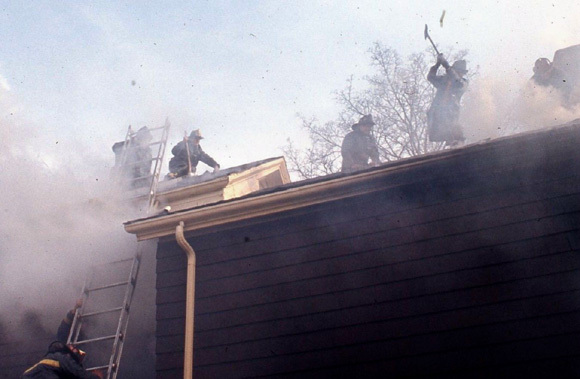 Paul retired in 1996 and passed away on August 2, 2001. 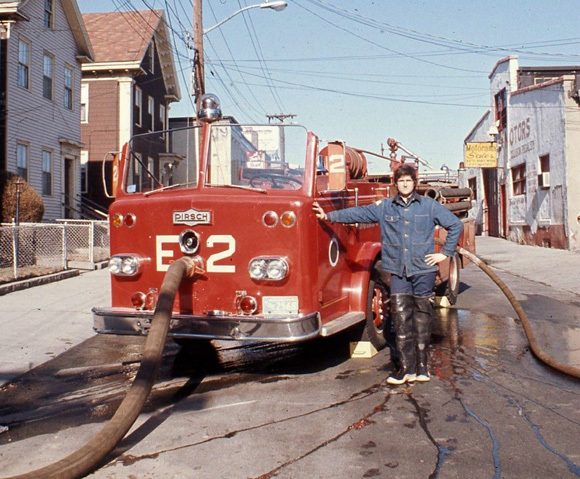 The last shot for this issue is of Ff Dave Salvi operating Engine Two's Pirsch pump during a Second Alarm on Marshall Street in 1976. 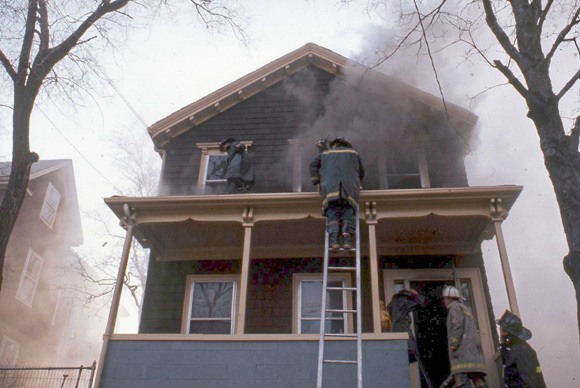 Dave was appointed in 1973 and has been a Deputy Chief since 1986 currently in command of Group 3. Behind Dave is the infamous garage where the Winter Hill Gang operated. Dave, whatever happened to "get the pumps out of the way so other companies can get by" ????? ?